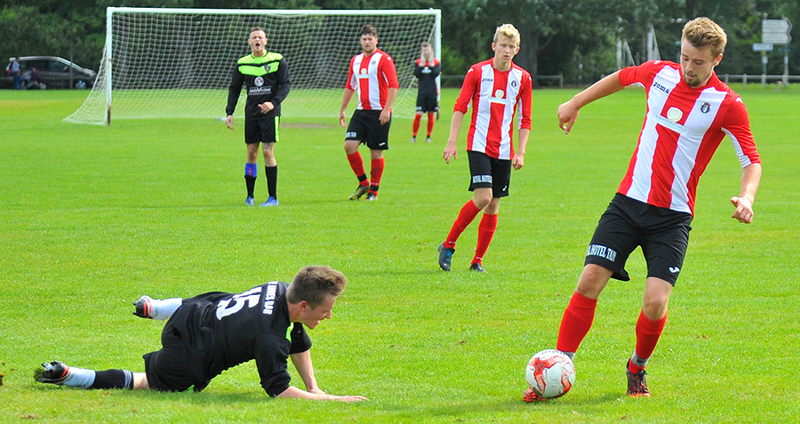 THIS WEEKEND the Saints will reopen their North Caledonian League account with a bang, as they travel to neighbouring Invergordon for their first competitive game in eleven years. Speaking to the club's website, manager Stuart Ross looks ahead with keenness to Saturday's game, as he reflects on six months of preparation and the culmination of the Saints' revival. "It doesn't seem that long ago since Andy, Dale, Niall and I were sitting round a table in Tain in February, entertaining the idea of bringing this club back to the fore. Since then, we have been on a manic push of fundraising, player recruitment and putting in place the stable foundations needed for a club who are going to hold their own in the North Caledonian League for many years to come. Our committee has done a wonderful job in raising funds and securing sponsorship for this season, everyone playing a big part in running this club extremely well behind the scenes." And on the field, things are coming together nicely. "The player recruitment element of this project was never going to be easy after an eleven year absence, but we are very pleased to have put a squad together which is blessed with a mixture of experience and several exciting, young local players that we hope we can bring on and hopefully keep together for the coming seasons. Encouraging youth is a big part of our philosophy and seeing talented footballers as young as sixteen buying into what we're doing here has been hugely encouraging. Andy and I are both really excited to be rejoining the North Caledonian league circle and can't wait for Saturday's opener. It'll be a tough game against what we're sure will be a very strong Invergordon outfit this year." When last St Duthus were in the North Caledonian league, back in 2005, Invergordon were on the ascendency. Under the management of Graeme Stewart, a squad of talented young Invergordon based players such as Scott Wilde, David Kennedy, Chris Stone and Ross Thomson, to name a few, were competing for honours regularly, reaping the benefits of a successful youth system. Now in 2016, they are on the ascendency once again. Returning to the NCFA fold last season under the guidance of former Ross County star Gary Campbell, Invergordon are a good twelve months ahead of St Duthus in terms of re-establishing themselves on the senior football map. Four time winners of the North Caledonian League, the Recreation Ground side have bolstered their chances of a fifth league title this season with some new additions. They will be aiming to build on a successful return to the league, having reached the Ness Cup Final in April. They have added players from neighbouring Alness United and Golspie Sutherland, while retaining the strong squad they had built last season. For those in the Tain camp, the game is not so much one of inevitable rivalrly or familiar faces going head to head, but moreso the marking of a significant milestone in their revival, as St Duthus take to the field of play in competitive action for the first time since the end of the 2004/05 season. Whatever the result, this game will come as great reward to the club's committee and management team who have worked tirelessly to re-establish Tain in the ranks of senior football, at a time when the more common trend is for teams to fall into abeyance rather than rise from the ashes. Inverness Athletic, the North Caledonian League's other 'new boys', must also be commended for their efforts. Personnel wise, Steven Martin, Martyn Farquhar, Ryan Day, Jamie Skinner, Will Ross, Finn Chainey, Martin Clark, Lewis Ross and Duncan MacKenzie are a few of the new Saints signings who could make their competitive debuts for the club's marquee return. 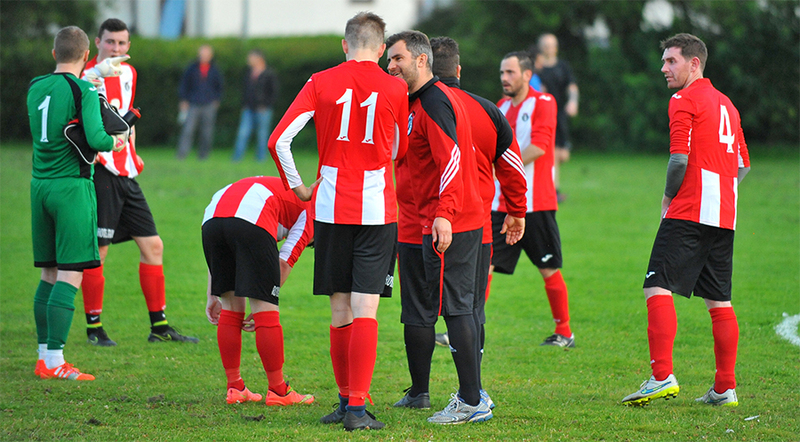 For the most part, St Duthus will embark on their league return injury free, but the club still awaits the availability of at least eight players who remain on duty with their summer teams in the North West Sutherland and Inverness District amateur leagues. Nevertheless, Stuart is confident that what his squad may lack in depth for this weekend, they will more than make up for in commitment. The game kicks off on Saturday, September 3rd at 2.30pm at Invergordon's Recreation Grounds. For such a momentunal game in the club's history, we would hope to see as many supporters along backing the Saints as possible. In other action, Golspie Sutherland kick off their Scottish Cup campaign against Banks O'Dee, while Thurso have a free week.